Tomás loves stories. As the young son of migrant farm workers he passes long days in the fields listening to his grandfather tell stories. Before long, Tomás knows all of Papa Grande’s tales by heart. When a chance encounter allows him to meet the “Library Lady” Tomás is recognized for his thirst for knowledge. His delight in books is equaled by his pride in teaching Spanish to the Library Lady, trading knowledge and respect between generations and cultures. 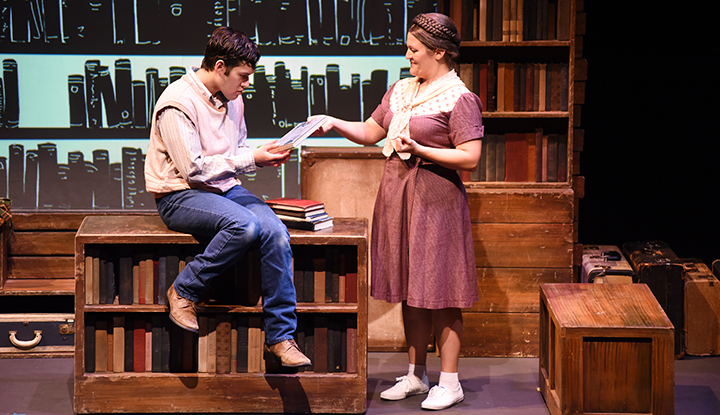 A bilingual musical, based on the beloved book about the true story of the Mexican-American author and educator Tomás Rivera, who became the first minority Chancellor in the University of California system. This inspirational production shows how reading and education—and self-esteem—can make anything possible.